Ukash is the virtual voucher that not only gives you an easy way to make online poker transactions, but also a safe divide between your real world bankroll and your virtual bankroll. 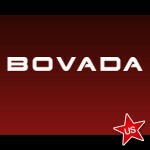 If you love playing at American poker sites Ukash is one banking option you need to take a look at. And it’s not complex at all. We’ll show you everything you need to know to get started. Ukash is one of the most unique ways to manage your bankroll and, while it’s not widely used outside of Europe, it’s an extremely secure payment method. While Europeans love it, there’s good reason for US poker sites players to love Ukash just as much. Trading officially under the name Smart Voucher Limited, Ukash is regulated by the United Kingdom’s Financial Services Authority and operates exclusively as an electronic payment processor. The main thing that sets Ukash online poker payments apart from the pack is that everything is based on a voucher system. Instant Money Availability – Outside of America deposits are processed instantly and withdrawals are processed between 1 and 7 days. Rates of Success – Ukash transactions are not allowed in the USA, but outside of America the success rate is 100%. When you want to ante-up at a Ukash poker site, you basically have to convert your real world cash into an electronic currency. In a similar way to prepaid debit cards, but valid on a onetime basis, Ukash vouchers allow you to deposit a set amount of money at your favorite online poker room. At present, Ukash poker sites exist in more than 30 countries across Europe, Asia, the Middle East and Africa. This diversity is complemented by a network of 50,000 outlets that including convenience stores and gas stations. 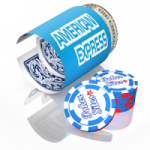 On top of this, Ukash online poker vouchers can be purchased online in several convenient denominations. Each Ukash online purchase incurs a 5% fee (this fee covers the pin information being sent directly to them over the Internet). Moreover, customers can pay a 4% to have their pin mailed to them within five business days. One of the biggest benefits of playing at online poker sites that accept Ukash is that the site doesn’t have access to player’s bank account. This makes transactions exceptionally safe and secure because there is no route for cyber criminals to follow. Additionally, when customers purchase Ukash at outlets, the transaction can be completed with cash, which totally eliminates the need for a debit or credit card. Ukash, a popular choice for making payments in various countries, may not be accessed presently by online US poker players. How Does Poker Online Using Ukash Work? Firstly, you need to purchase a Ukash online poker voucher. Once you purchased your voucher you’ll be given a unique code which you input at your chosen site. After navigating to your Ukash poker room’s cashier page, simply select the appropriate deposit option and input your code. Finally, click “deposit” and the transaction is processed instantly. One point to note is that Ukash can be split and combined. This means you can use them to deposit small amounts of money over time, or combine them to make a larger single deposit. In terms of withdrawals, Ukash poker sites will allow you to use this option. Once you’ve selected your desired cash out amount, you will receive a 19-digit code, which allows you to put money onto a Ukash MasterCard. 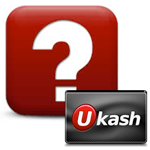 Unfortunately US players cannot play poker online with UKash payments. 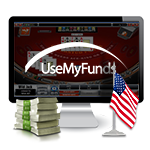 Because of United States online regulations, there are currently no US poker sites that currently accept Ukash as a deposit or withdrawal option. USA regulation is currently making more processing options available to players. Ukash is backed by MasterCard and the Financial Standards Authority.